The Lorain Police Explorer Program is a hands-on program open to young men and women between the ages of 14 and 18 who are interested in a career in law enforcement or a related field in the criminal justice system. The program offers young adults a personal awareness of the criminal justice system through training, practical experiences, competition, and other activities. Additionally, the program promotes personal growth through character development, respect for the rule of law, physical fitness, good citizenship and patriotism. Giving back and helping our community is one of the most important experiences for our Explorers. Explorers participate and volunteer at a variety of fun and gratifying events throughout the year. For example, the Lorain Police Explorers assist the Lorain Fraternal Order of Police Lodge 3 with their annual Shop with a Cop event. 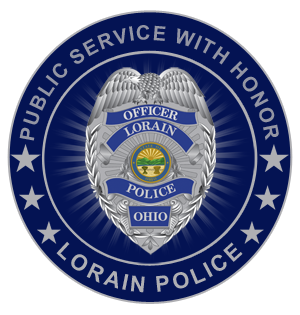 Young men and women who have completed the 8th grade and are interested in joining the Lorain Police Explorers must be between the ages of 14 and 18, of good character with no criminal record, and must maintain at least a 2.0 grade point average. Those interested can use the form below to send a message to Chief James Malick to inquire about the program.